3rd Navi Mumbai International Film Festival NMIFF-2016 welcomes the submission of Student Shorts "Jackpot" from, Germany, Directed by Lukas Klaschinski. "Jackpot" is the story about young rapper Chris, a.k.a. KoolKasai whose life for over the three years was into Hip hop, heroin and living on the streets who is searching for a way back into the society. Drugs, parties and jail were the stations on his journey. Diverted from the question of his own self-worth, on the search for contact from a place of total isolation. Where the journey leads him is determined by the rail network, but where he gets off, he decides for himself. 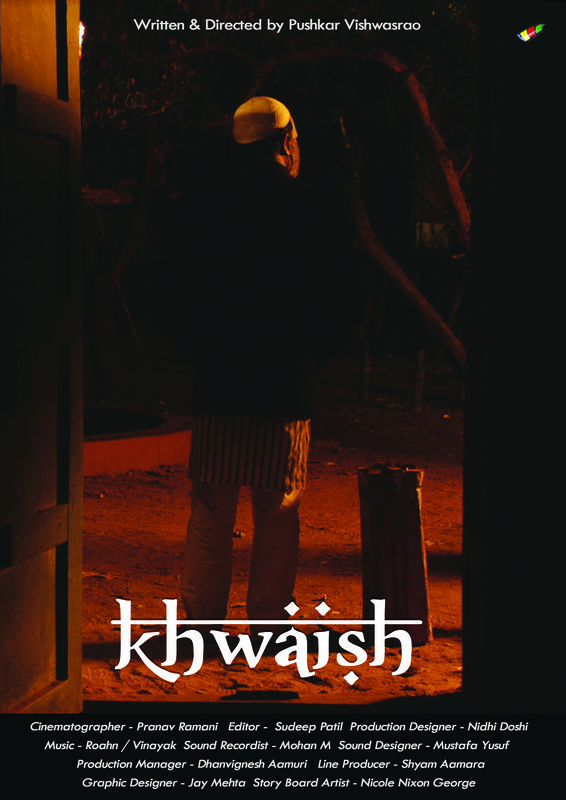 3rd Navi Mumbai International Film Festival NMIFF-2016 welcomes the submission of Student Shorts "Khwaish" from, India Directed by Pushkar Vishwasrao. 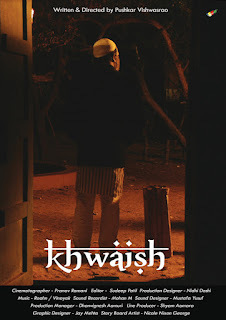 "Khwaish" is the story about human dreams, aspirations and passion.. No human life is complete without this. And for most of us any valid effort to meet them is worth, no matter how tough or demanding it may be. Such is the story of Karim Khan and his life’s biggest ‘Khwaish’. All of his life has been spent realising his one biggest dream. The dream of watching a cricket match at LORDS stadium, London. Khwaish explores the subtle nuances of all that goes into realising one’s dream and the interference of mighty fate in our plans. 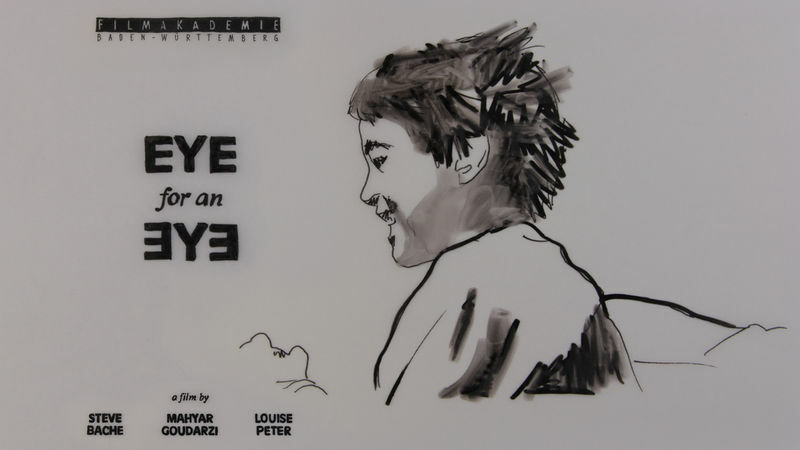 3rd Navi Mumbai International Film Festival NMIFF-2016 welcomes the submission of Student Shorts "Eye For An Eye" from, Germany Directed by Steve Bache. "Eye For An Eye" is the story about Frederick Baer who spent a decade on death row in Indiana State Prison. He is still waiting for his death penalty to be executed.Hand-drawn animated documentary about a murderers time on death row and the conflicts about his guilt and destiny. 3rd Navi Mumbai International Film Festival NMIFF-2016 welcomes the submission of Feature Film "Coming and Going" from, China by Tianlin Xu. "Coming and Going" is a coming-of age story of four rural Chinese boys and their expectations, excitement, disappointment, loss and hope. Their tales highlight the lesser known consequences of China's rapid economic growth. 3rd Navi Mumbai International Film Festival NMIFF-2016 welcomes the submission of Student Shorts "Deadlock" from, Austria by Bela Lukac. "Deadlock" is a story about the elderly couple Berger who are on the way to their holiday. Due to some tensions, their trip ends abruptly in a little village somewhere in Austria. They reached the dead end of their relationship. Two days they spend in their car. What happens to a marriage if no one retreats? 3rd Navi Mumbai International Film Festival NMIFF-2016 welcomes the submission of Student Shorts "Darling" from, Austria by Sebastian Schmidl. "Darling" is a story about Tamara’s decision to separate from her life partner threatens the quality of life of the people around her. Hans won’t be able to keep the house and her beloved father-in-law will have to move to a retirement home. Isolated from the outside world, they spend a last emotion-ridden weekend together. 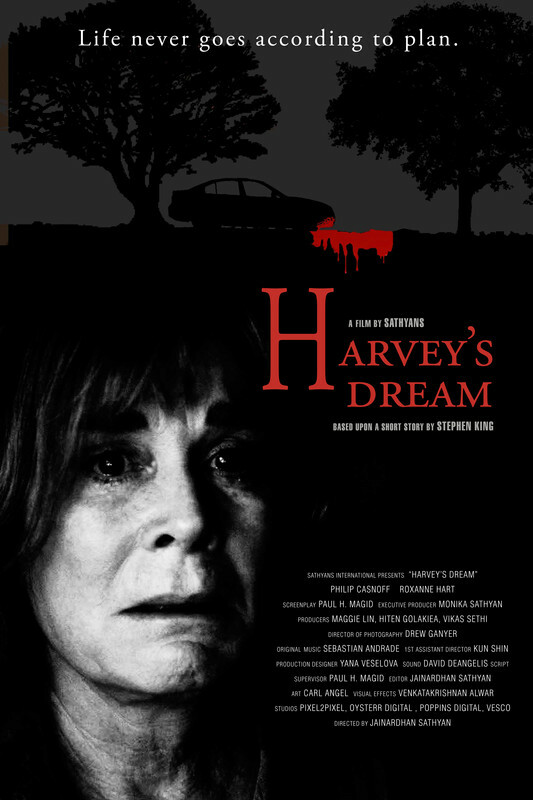 3rd Navi Mumbai International Film Festival NMIFF-2016 welcomes the submission of Student Shorts "Harvey's Dream" from, USA by Jainardhan Sathyan. 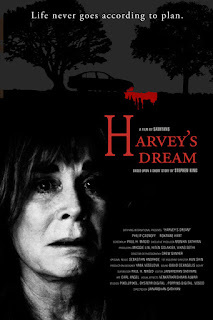 "Harvey's Dream" is a story about married couple Harvey and Janet, who; are decades into their marriage living in uber affluent Connecticut. Their three daughters are fully grown and have moved out of the house, with their youngest, Allie, still living just down the road. Harvey and Janet met in college, romanced, married only to live an empty life later. Harvey is a titan of the financial industry but, by Janet’s estimation, never gave her more than material wealth. A regular Saturday morning slams their lives when Harvey recounts the half-wit, early stage Alzheimer clouded memories of a terrible dream he had where their oldest daughter called in the middle of the night to say that their next door neighbour had hit and killed their youngest daughter… But was it just a dream? As Harvey continues the retelling Janet’s terrified mind races back and forth, trying to process whether it was just a dream or it really happened. Then…the phone rings. 3rd Navi Mumbai International Film Festival NMIFF-2016 welcomes the submission of Professional Shorts "Reconnection" from, India, Nepal and United Kingdom by Maksim Varfolomeev. "Reconnection" is a film about Sean Fletcher who is a successful web designer, more capable with the Internet than his personal life. Unable to deal with his recent break up, Sean tries to run away from it all by taking a trip to the Himalayas but finds himself stuck on the way in a small Indian town. Things get complicated when he gets a work offer at home only to realize he can't make it back in time to take it. While Sean figures out his priorities between career and relationships, he finds that he is stuck in a very unusual place, which takes him on a heart changing journey. 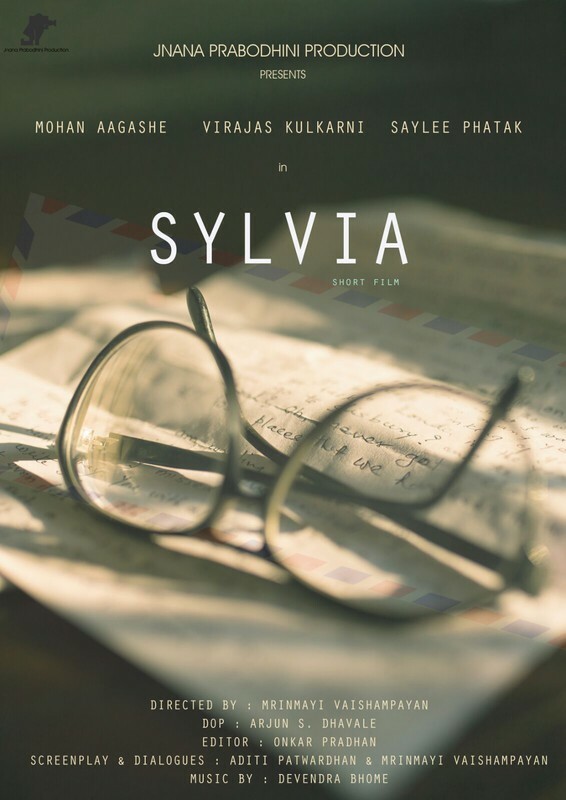 3rd Navi Mumbai International Film Festival NMIFF-2016 welcomes the submission of Student Shorts "Sylvia" from, India by Mrinmayi Vaishampayan. 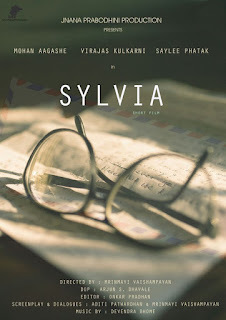 "Sylvia" is a film about the arrival of a guest at Sarang and Grandpas house and their reaction on her arrival. Sarang lives with his grandfather Madhav, whom he regards as one the closest persons in his life. While everything is within order, a letter arrives one fine morning announcing the arrival of a guest in their house. 3rd Navi Mumbai International Film Festival NMIFF-2016 welcomes the submission of Professional Shorts "Fallacy Beholds" from India, by Arindam Barooah. 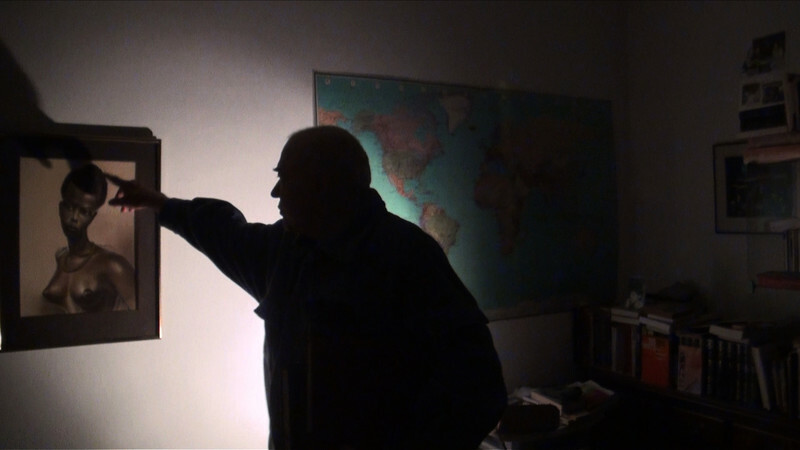 "Fallacy Beholds" is a film that revolves around the significant theme of misbelief/fallacy towards disable people. A story of two best friends, one being disable is being neglected and treated as an ominous in the society by his best friend’s mother. She does not like him and their friendship. She considers him as an ominous due to his disability. For her, if someone sees or accompanies him before going for some work, that work will be incomplete. But both her son and husband don’t like her outlook towards that boy. Thus, they both overlook her attitude. Will she break his friendship with her son? Will she accept him the way he is and their friendship? Can she change her misbelief/attitude towards that disable boy or to any disable person? 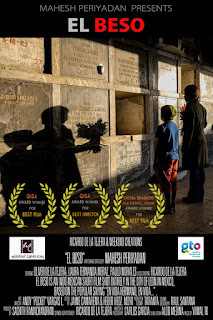 3rd Navi Mumbai International Film Festival NMIFF-2016 welcomes the submission of Student Shorts "Roger unknown grandfather" from Belgium, Directed by Zoe Rossion. "Roger unknown grandfather" is an strange story of Roger, the belgian grandfather of the director. He likes to drink, laugh and used to kill people. Three days spent in his flat in Brussels, the ghosts of the past start appearing with the morning coffee. 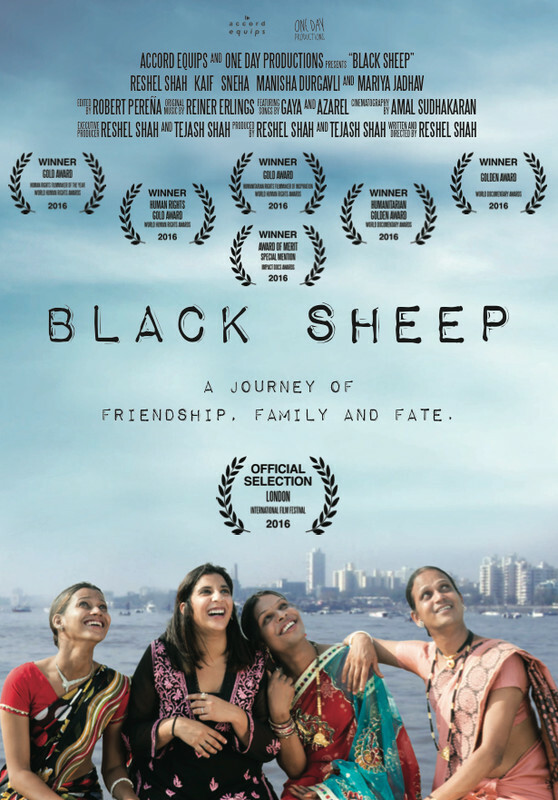 3rd Navi Mumbai International Film Festival NMIFF-2016 welcomes the submission of Feature Film "Black Sheep" from India, Directed by Reshel Shah. 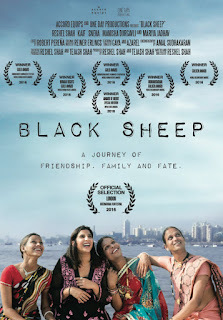 "Black Sheep" is a 70-minute feature length documentary that takes the viewer on a journey into the in-depth lives of the female transgender community of India, the third gender known as Hijras. The film follows the filmmaker, Reshel’s journey as she spends a month with a set of Hijras to understand their lives better as people rather than a label. Through her month venture Reshel gets to understand their needs for family, living for love, want for a better education and more. The film takes an in-depth look into these women as inspirations fighting the social norm. 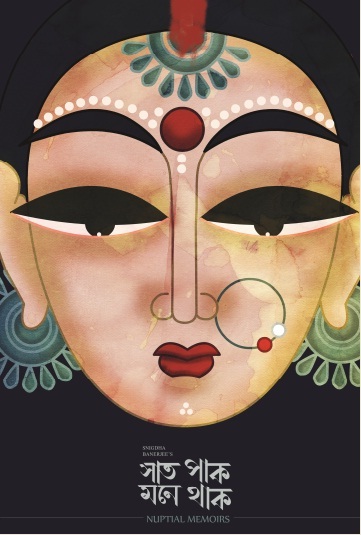 Through Reshel’s voyage she gets to uncover the truth about these Hijras, this being that they are just as human as the person sitting next to you, filled with hope, love and happiness. 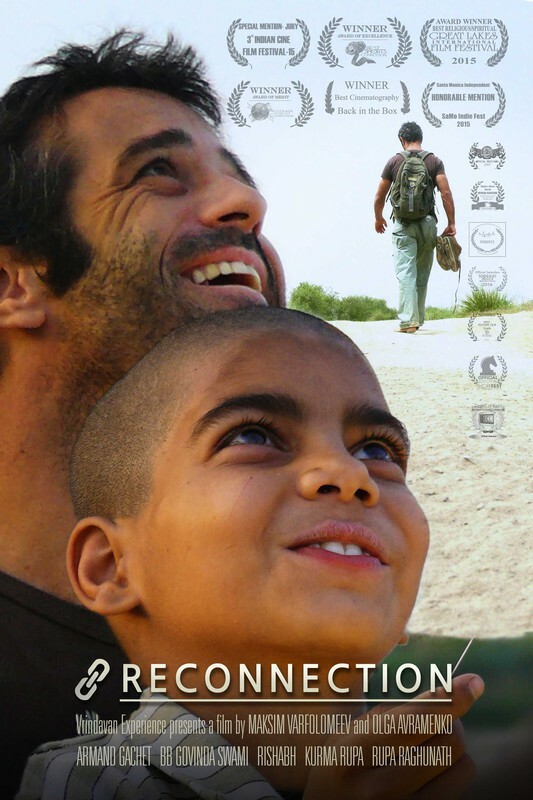 3rd Navi Mumbai International Film Festival NMIFF-2016 welcomes the submission of Professional Shorts "On Earth" from Israel, Directed by Ya'ir Gabriel Magall and Nora Sophie Eichinger. 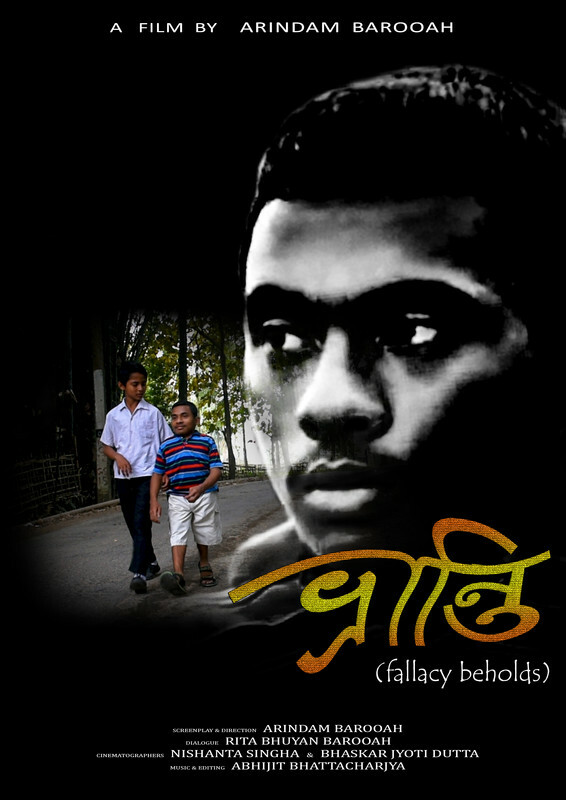 "On Earth" is a story about a young man parks his car on the roadside. He walks into the desert and finds a place that is so quiet that he can feel himself again. His soul is dancing and the protagonist embarks on a poetic journey to himself. Epic landscapes and touching dance scenes take the audience into the enchanted world of the soul. 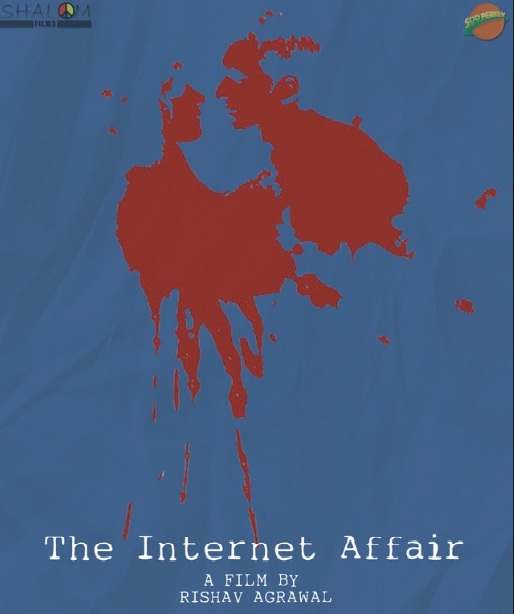 3rd Navi Mumbai International Film Festival NMIFF-2016 welcomes the submission of Professional Shorts "The Internet Affair" from India, Directed by Rishav Agrawal. 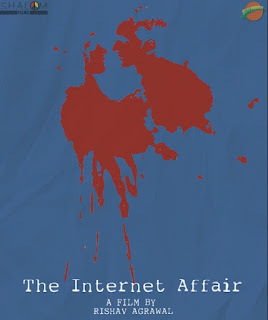 "The Internet Affair" is a story about a nerdy introvert boy who meets his long lost childhood love on Internet. What makes a boy who madly fell in love; goes to the extent of killing his first love. 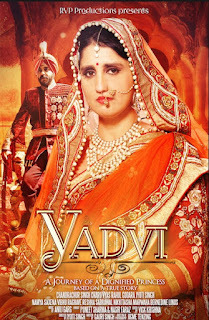 3rd Navi Mumbai International Film Festival NMIFF-2016 welcomes the submission of a Feature Film "Yadvi" from India and United States, Directed by Jyoti Singh. How does a real life princess raised in one of the wealthiest families of the world end up losing all such privileges in her middle age? How does she become forced to pick her own food and collect her own wood for the winters? In 1940's India, before even a hint of feministic equality, how does a woman not only uphold her own dignity but also raise three refined daughters in the face of unexpected adversity? The pure personification of integrity, "Yadvi", will take you on her journey through the India of Kings and Queens, of Princes and polygyny. Her deep internal strength bolstering her family honor will inspire you! 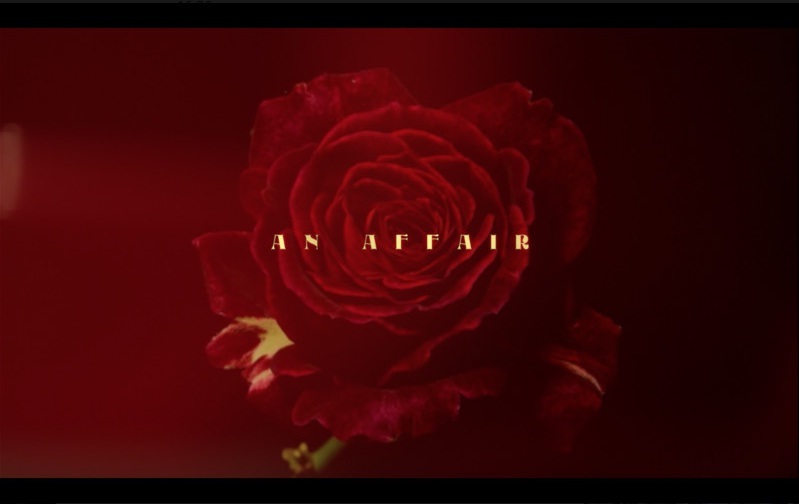 3rd Navi Mumbai International Film Festival NMIFF-2016 welcomes the submission of a Student Shorts "An Affair" from India, Directed by Ninni Ravindra Sahu. 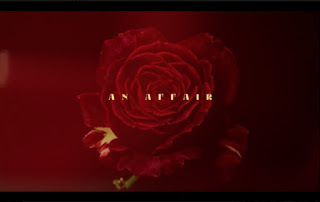 "An Affair" is about an indian woman from the upper class newly wed to a bank manager who hardly has time to spend with his wife. left in isolation in the house with nobody to communicate with, like a bird in a golden cage, she captures a cockroach for company unaware of what was about to happen as a consequence. 3rd Navi Mumbai International Film Festival NMIFF-2016 welcomes the submission of a Professional Shorts "Smiles at every mile" from India, Directed by Nitin Bhogan. "Smiles at every mile" is the story about the rise in crime against women and precautionary methods implied to control the same. The data published by NCRB in 2014 states count of 3,37,922 cases and 2013 has reported 26.7% rise in the crime against women as compared to the previous year. Although, the Government of India has taken various steps for the crime against women, however the upward trend of such crimes still continues. The Team realized the best way to address the above mentioned problem is to train the girls through self-defence workshops who will go home and train other girls and women in their neighborhood. Our employees came together to compose, produce and direct the song with video titled as Smiles at Every Mile to communicate the purpose of our initiative through the lyrics and video of the song. 3rd Navi Mumbai International Film Festival NMIFF-2016 welcomes the submission of a Student Shorts "Dhee Da Siwa-Silence of Innocence" from India, Directed by Rabby Tiwana. 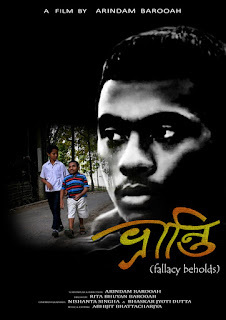 "Dhee Da Siwa-Silence of Innocence" is a story of a Poor Laborer of a small village in Punjab. How he copes up with life, affects his relationship with his daughter. He is asked to go at a protest in return of Money and Free Food and he accepts the offer. Later his daughter complaints him about being harassed by leader's son during her work hours but he refused to listen and forces her to go to work. When he asks what the protest is about to the man who offered the food earlier tells that some poor worker's Daughter was raped by Some Other Village's Leader's Son. He Then realizes how big mistake he was about to make and runs to her daughter for mercy. 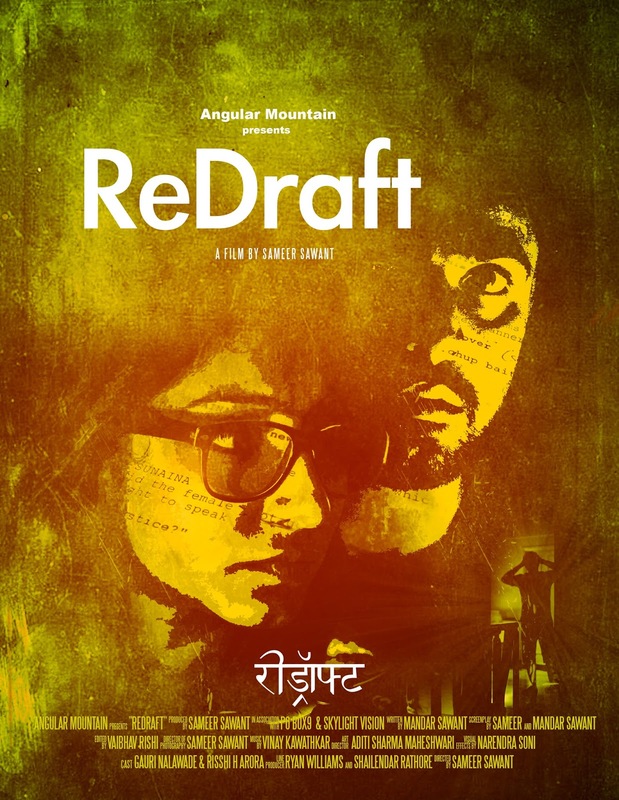 3rd Navi Mumbai International Film Festival NMIFF-2016 welcomes the submission of a Professional Shorts "Redraft" from India, Directed by Sameer Sawant. "Redraft" is a film about an author and his wife Meera. Creativity, love, secrets – the topsy-turvy life of Risshi, an obsessive author and his wife Meera, a skilful editor, take us through an eventful night when the couple together works on a novel. Risshi’s peculiar behaviour, diminishing care for his marriage and an increasing obsession for his work takes him on a different path, away from his wife. Hallucination, external instigation incite a trigger and an extreme behaviour in them, where they crack under the stress of their lives. Finally, the novel is rewritten. 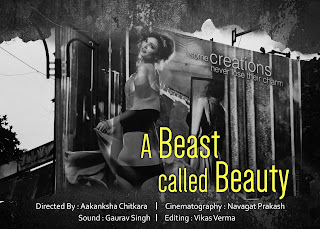 3rd Navi Mumbai International Film Festival NMIFF-2016 welcomes the submission of a Student Shorts "A beast called beauty" from India, Directed by Aakanksha Chitkara. 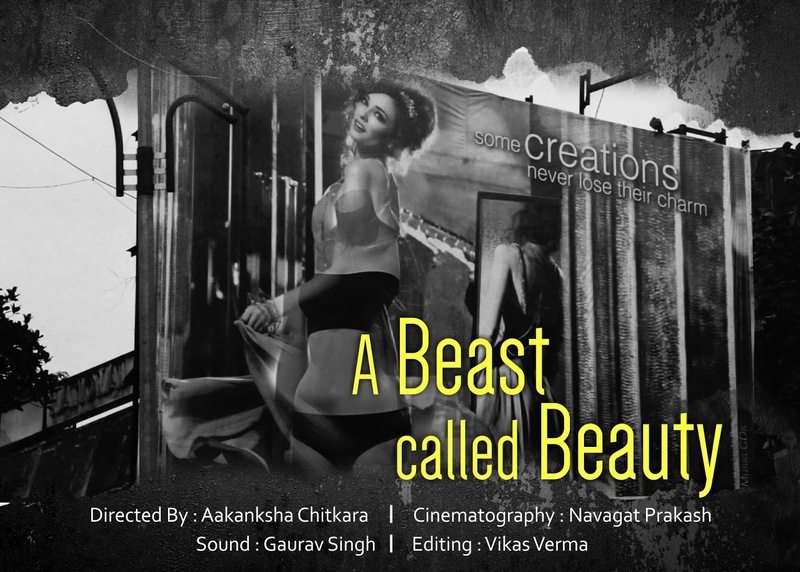 "A beast called beauty" this Documentary deals with the sensitive and fast growing body image disorders in India. The director has narrated her own personal journey of how she was a victim of body image issues and how she decided to channelize her depression by making a documentary on the same and how the research done during this documentary ended up giving hope to the director for a better outlook of life. 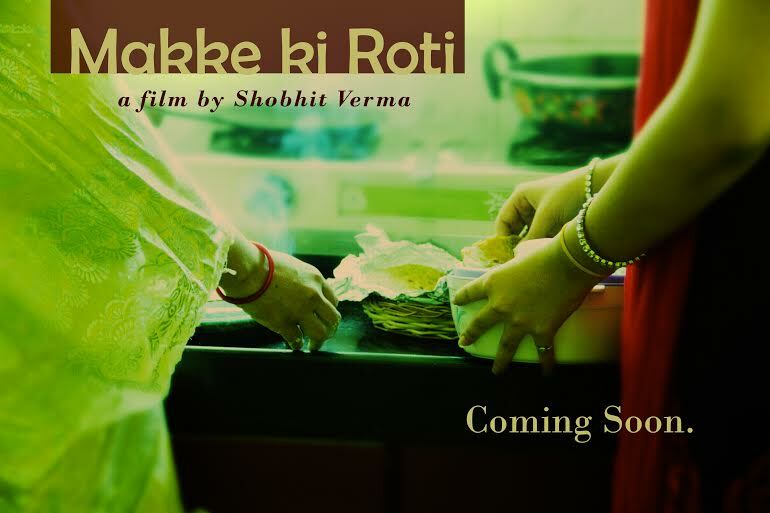 3rd Navi Mumbai International Film Festival NMIFF-2016 welcomes the submission of a Professional Shorts "Makke ki Roti" from India, Directed by Shobhit Verma. "Makke ki Roti" is story about relation between a son and mother.Mother takes care of us all throughout our life and we tend to neglect the fact that they are growing old as we grow up. This short film potrays the emotion between the mother and the grownup child. 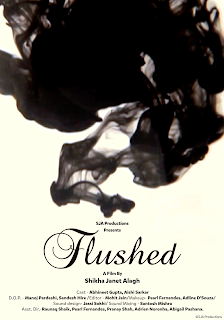 3rd Navi Mumbai International Film Festival NMIFF-2016 welcomes the submission of a Professional Shorts "Sulige Sikkidaaga-Be Fluid as Water" from India, Directed by Sundeep Malani. "Sulige Sikkidaaga-Be fluid as water" is a magnificent tribute to the power of the human spirit to triumph over adversity! Especially focusing on Women’s Empowerment, it deals with the riveting story of one young woman whose life spirals out of her control, and when it does, she faces one of two paths. Using split screen technology, the film showcases the two paths of the same woman in the same timeline, one path showing what happens to her when society does not stand by , rejects her because of her circumstances, the other path showing what happens to her when society stands by her in full support! The film also brings awareness to the medical condition of grand mal epilepsy. It also showcases the power of the women through martial arts. Woven with a taut and brilliant screenplay, filmed in the beautiful locations in and around Bengaluru, India with a stunning finale in Tucson, Arizona, the film is garnering positive reviews and audience applause already. 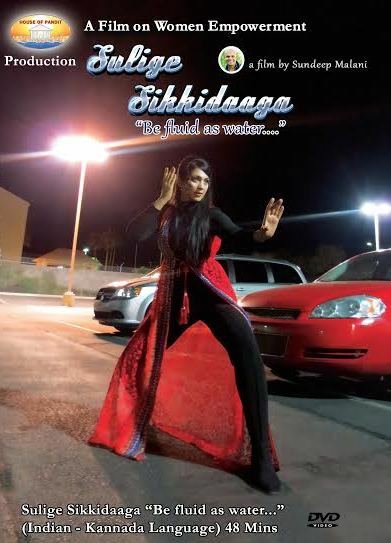 Produced by House of Pandit and written by Scott Barker; Screenplay and directed by Sundeep Malani, this film has the potential to inspire women across the world to be strong and proud. 3rd Navi Mumbai International Film Festival NMIFF-2016 welcomes the submission of a Feature Film "Araluva Hoogalu" from India, Directed by G. Murthy. "Araluva Hoogalu" is a true story of a boy Anjanaiah who is a handicapped by birth. He lives in an orphanage. He is inspired by his friend Karunakara, a blind boy who plays the flute very well. Anjanaiah tries to draw and paint with his legs as he has no hands, with great effort. With the regular practice and encouragement from his friend Karunakara and the elders in orphanage he finally succeeds in receiving Silver Medal for "National Child Award for exceptional achievements 2014" by the honourable President of India, Sri Pranabh Mukharji. 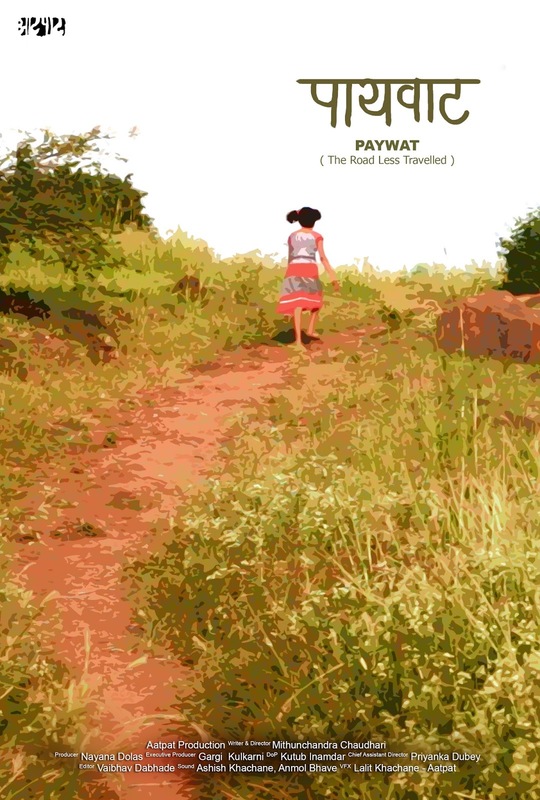 3rd Navi Mumbai International Film Festival NMIFF-2016 welcomes the submission of a Professional Shorts "Paywat" from India, Directed by Mithunchandra Chaudhari. "Paywat" is the story of a village girl. After completing her routine chores, Maydi, the daughter of land laborers starts her school journey. 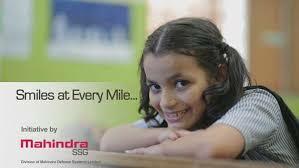 The film portrays a day in the life of an Indian working class village girl. 3rd Navi Mumbai International Film Festival NMIFF-2016 welcomes the submission of a Student Shorts "Darjeeling Mail" from India, Directed by Konarak Mukherjee. 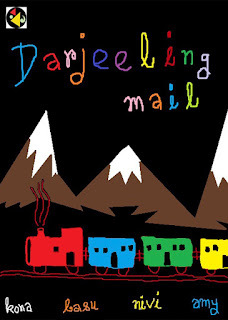 "Darjeeling Mail" is a film based on Rabindranath Tagore’s play ‘Dakghor’ (The Post Office), Darjeeling Mail explores the world of Amol. 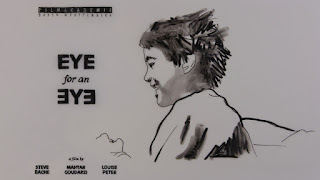 The movie weaves together fantasy and reality as the lonely boy, confined on doctor’s orders to a room with only six windows to the outside world, chatters with an assortment of people, both real and imaginary, and daydreams about venturing forth and seeing the world beyond his horizons. 3rd Navi Mumbai International Film Festival NMIFF-2016 welcomes the submission of a Professional Shorts "Kaala Heera" from India, Directed by Priyarth Mukherjee. "Kaala Heera" (Black Diamond) is a term we use for coal. This description is apt as coal, even though considered cheap, is one of the most expensive source of fuel in the world.The real cost of coal is not the amount of money we spend on it's purchase.Effects of coal and mining stays with us for decades. Slashed down forests, barren lands, polluted atmosphere, loss of habitat, health disorders are only few of many direct impacts of coal. 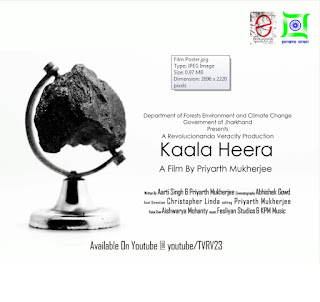 "Kaala Heera" does not question the importance of coal, but urges everyone to use this precious gift of nature wisely. We unknowingly use coal in our daily lives, in form of electricity and day today goods (which are manufactured using power from this very black diamond).We somewhere are ignorant of the fact that for our luxurious lifestyles, we are pushing our future generation to a point where they will be struggling for the basic amenities to survive. 3rd Navi Mumbai International Film Festival NMIFF-2016 welcomes the submission of a Student Shorts "Inescapable " from India, Directed by Arpan Kapadia. "Inescapable" conveys the Gandhian message to the today’s youth. To be prepare or initiate for the change. We should follow the way of Mahatma Gandhi. 3rd Navi Mumbai International Film Festival NMIFF-2016 welcomes the submission of a Student Shorts "Need" from India, Directed by Ajay Pradhan. "Need" is a film based on a prostitute who faces hardships and problems to feed her children.Its a story about her journey to survive the life despite of immense problems. 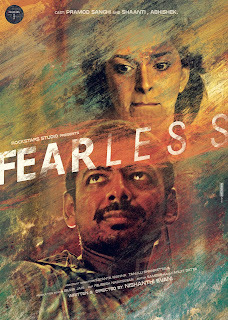 3rd Navi Mumbai International Film Festival NMIFF-2016 welcomes the submission of a Professional Shorts "Fearless" from India, Directed by Nishanthi Evani. A confident, independent woman who tells her friend “I can take care of myself” while shooting pictures at a slum is caught in the middle of riots and her real fearlessness gets challenged. "FEAR L E S S" is about the innate mistrust and skepticism we carry with us despite our best efforts at being evolved. 3rd Navi Mumbai International Film Festival NMIFF-2016 welcomes the submission of a Professional Shorts "EL BESO-The Kiss" from Mexico & India, Directed by Mahesh Periyadan. 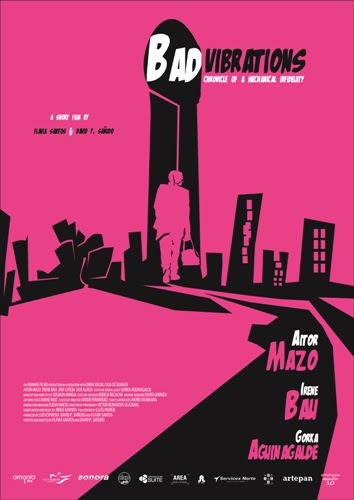 "EL BESO-The Kiss" is the story about the emotional relationship between Edgar and Oscar.Edgar with his mother comes back to Mexico on November 2nd which is celebrated as‘All soul’s day’ in Mexico to pay homage to his younger brother Oscar Perez Garcia. In Catholic tradition dead people are commemorated on November 2nd. The churches organize prayers for the soul of the dead people. Both Edgar and mother were startled by seeing the open grave of Oscar as the rent was due. 3rd Navi Mumbai International Film Festival NMIFF-2016 welcomes the submission of a Student Shorts "Handi" from India, Directed by Sharvari Prabhu. "Handi" is the story about a seven year old girl who comes from a middle class family, residing in Mumbai. Owing to her ill health, (Cardiac complications) she is unable to carry out day to day actives unlike other kids. She is confined to her house & is hence fascinated with the idea of celebrating the festival of ‘Janmashthami’ like other kids. Sensing her desire & her disappointment in being unable to fulfill it, her brother puts up a ‘Handi’, in the house. 3rd Navi Mumbai International Film Festival NMIFF-2016 welcomes the submission of a Professional Shorts "Malas Vibraciones - Bad Vibrations" from Spain, Directed by David Perez Sanudo. 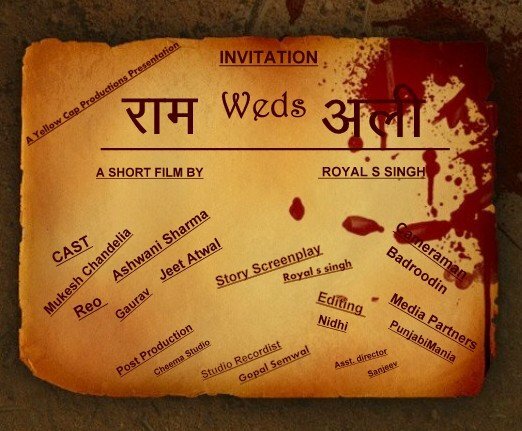 3rd Navi Mumbai International Film Festival NMIFF-2016 welcomes the submission of a Professional Shorts "Ram Weds Ali" from India,Directed by Royal Singh. 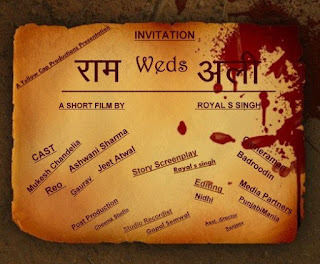 "Ram Weds Ali" is the story about two boys from different religions and in love with each other. 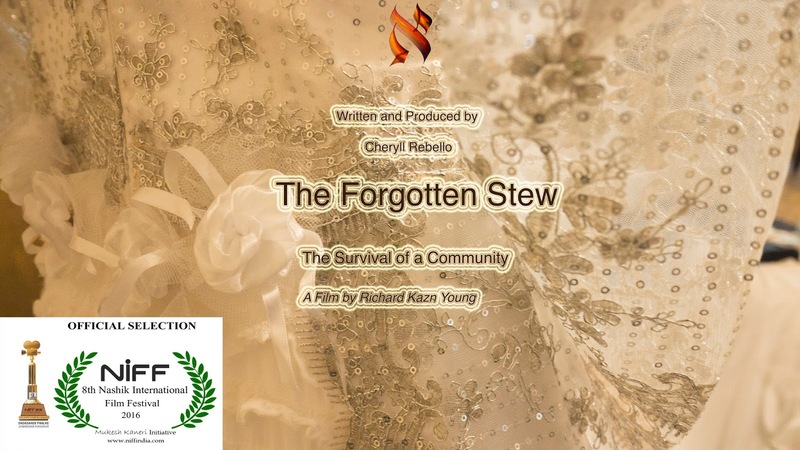 3rd Navi Mumbai International Film Festival NMIFF-2016 welcomes the submission of a Professional Shorts "The Forgotten Stew" from India, Directed by Richard Kazn Young. Three hundred years of British Rule in India brought about some mixed marriages betweenBritish Men and Indian Brides forming a new race called the Anglo Indian as described in Article 366(2) of The Indian Constitution.The Anglo Indian community has always been a minority of minorities, and due to migration and intermarriage the numbers have fallen drastically. "Forgotten Stew" is a story of a community interwoven around the first settlement of the British in the old city of (Bombay) Mumbai. All the interviewees’ have a heartwarming story to tell especially Hazel Branche who is now 96 year and talks about Independence Day 1947 in Mumbai.Will this community fade away by the next generation? Help us to save & and; preserve the heritage of this community. 3rd Navi Mumbai International Film Festival NMIFF-2016 welcomes the submission of a Professional Shorts "Baapdev" from India, Directed by Prafulla Naik. "Baapdev" is a story about old superstition still persisting in India. 3rd Navi Mumbai International Film Festival NMIFF-2016 welcomes the submission of a Student Shorts "Beti-Ek Sahara" from India, Directed by Riddhi Patel. 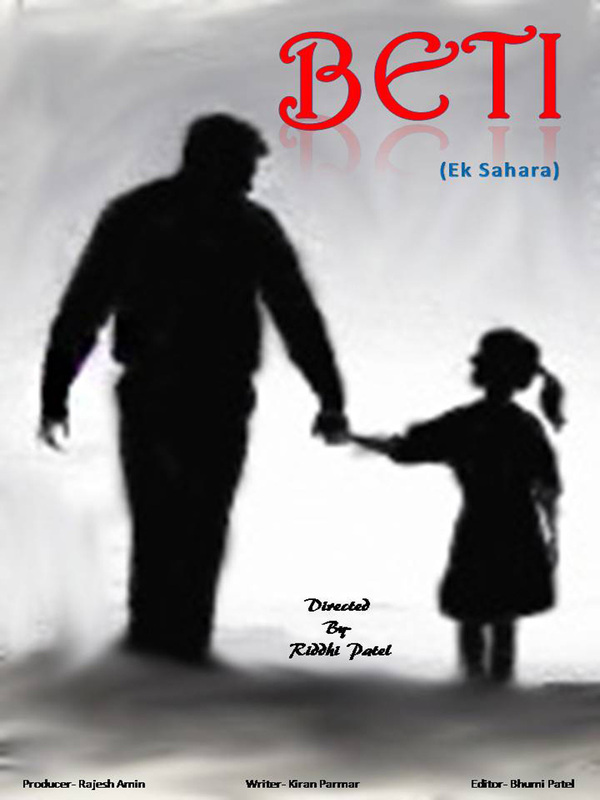 "Beti- Ek Sahara" is the story about a girl who survives from the unbearable situation and becomes a supporter of the person by whom she was forsaken once. This is a story about parents always praying and hopin to have a Boy child as their caretaker or a supporter and girls are given no importance at all. 3rd Navi Mumbai International Film Festival NMIFF-2016 welcomes the submission of a Student Shorts "Tarana" from India, Directed by MAAC Chowringhee. Dwelling in the past will only cloud one's future. 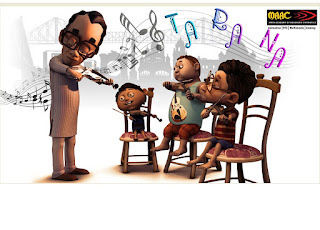 The entire story behind "Tarana" revolves around the same line of thought. It beautifully portrays how an old man’s life changes after he discovers the joy of sharing experiences. He finally moves on from the past and begins to live his life to the fullest. 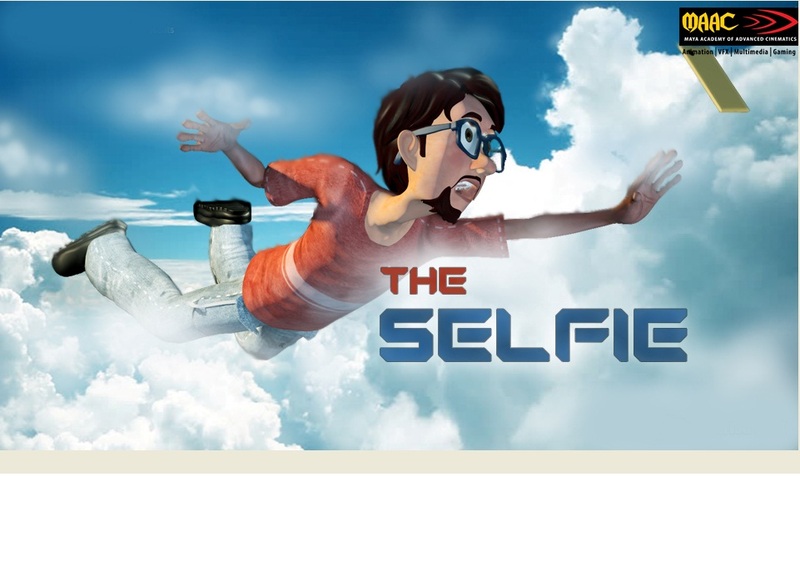 3rd Navi Mumbai International Film Festival NMIFF-2016 welcomes the submission of a Student Shorts "The Selfie" from India, Directed by MAAC Girish Park. "The Selfie" is an extravaganza of entertainment for any Bollywood enthusiast. It shows how a young boy meets all his favorite stars and clicks a selfie with them. Look forward to the twist in the tale. 3rd Navi Mumbai International Film Festival NMIFF-2016 welcomes the submission of a Student Shorts "The Show Must Go On" from India, Directed by MAAC Koramangala. "The Show Must Go On" heart-touching narrative by a camera, which highlights the efforts of those who go unseen and unnoticed. Every film’s success or failure rests not just in the hands of the players on-screen, but largely on the millions behind the screen. 3rd Navi Mumbai International Film Festival NMIFF-2016 welcomes the submission of a Student Shorts "Ek Tu Aur Ek Main" from India, Directed by MAAC Rashbehari. 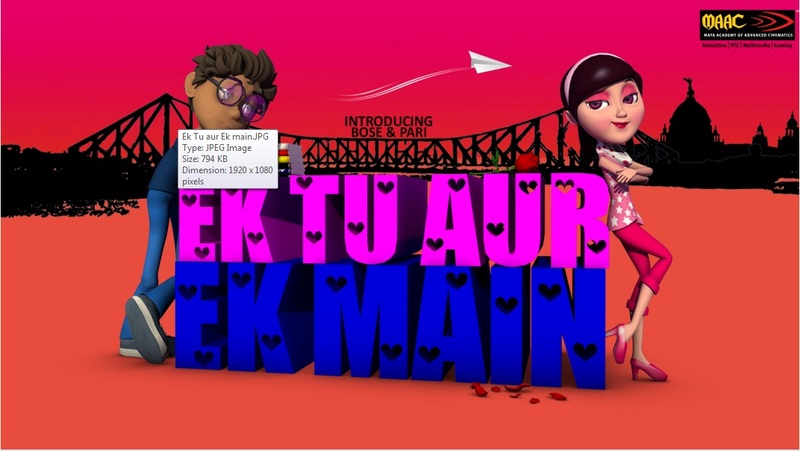 "Ek Tu Aur Ek Main" is a beautiful love story between Bose and Pari. As the film progresses the viewers get to meet the obstacles and characters who come their way. 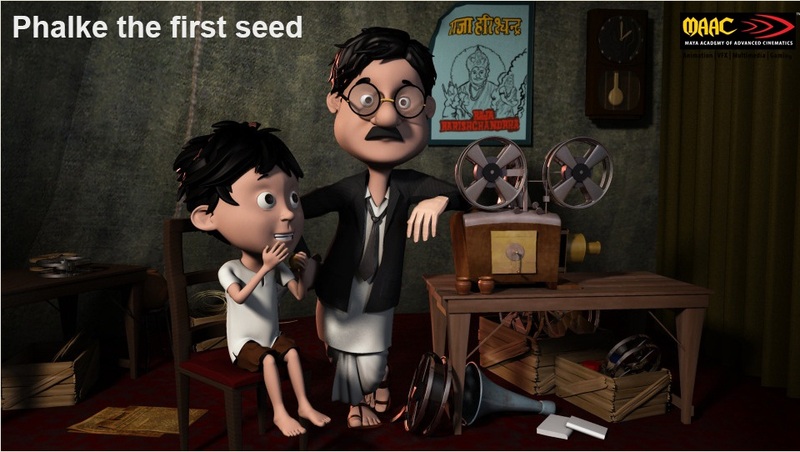 3rd Navi Mumbai International Film Festival NMIFF-2016 welcomes the submission of a Student Shorts "Phalke-The First Seed" from India, Directed by MAAC Andheri. 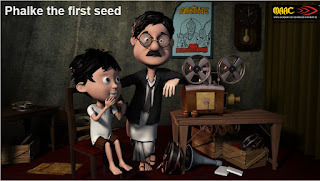 "Phalke-The First Seed" is a film about Dadasaheb Phalke, who is known as the Father of Indian cinema. The movie revolves around his dedication and contribution towards Indian Cinema and stabilizing the entertainment industry in India. 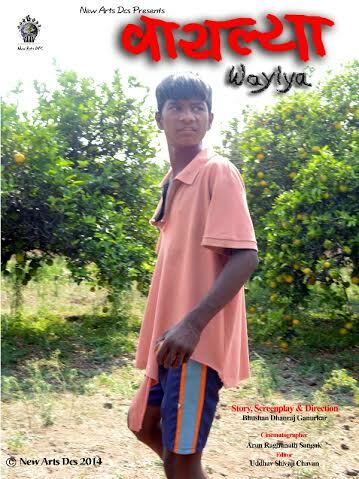 3rd Navi Mumbai International Film Festival NMIFF-2016 welcomes the submission of a Student Shorts "Waylya" from India, Directed by Bhushan Ganurkar. "Waylya" is the story about a boy whose family is earning their livelihood by stealing things but he firmly belives that stealing is not the way to earn livelihood. His family is starving, he argued with his mother but doesn’t change his views. After all to keep his promises made to the people, he chooses to work hard & earn livelihood. 3rd Navi Mumbai International Film Festival NMIFF-2016 welcomes the submission of a Student Shorts "Flushed" from India, Directed by Shikha Janet Alagh. 3rd Navi Mumbai International Film Festival NMIFF-2016 welcomes the submission of a Professional Shorts "Amma" from India, Directed by Neelan Neelakandan. "Amma" is the film of a woman who has lived through almost a century. The monologue reveals the socio-political changes that had occurred around her during this last century of which she too played an active role herself. Starting from an orthodox Namboothiri Bhrahmin background of utter poverty and high moral dictums, she gets no schooling, for schooling was a taboo for girls then. 3rd Navi Mumbai International Film Festival NMIFF-2016 welcomes the submission of a Professional Shorts "Rabby and the Tortue - Narrow Escape" from India, Directed by Hrishikesh Jadhav. 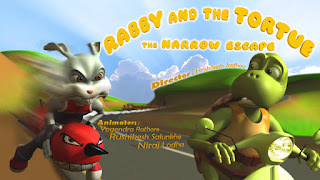 "Rabby and the Tortue - Narrow Escape" is the story about old rivals Rabit and Turtle, a short film about road safety. 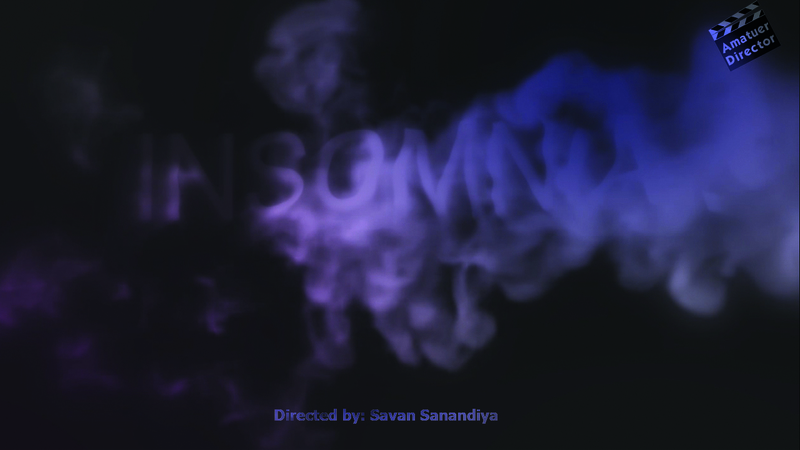 3rd Navi Mumbai International Film Festival NMIFF-2016 welcomes the submission of a Student Shorts "Insomnia" from India, Directed by Savan Sanandiya. 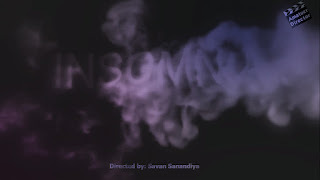 "Insomnia" is the story of a GUILT not letting a boy sleep because he could not act at the very moment when the bad incident took place. 3rd Navi Mumbai International Film Festival NMIFF-2016 welcomes the submission of a Professional Shorts "Rupantor" from India, Directed by Topon Bordoloi. Circumstances and surroundings possess the power to change a person's life and himself/herself forcibly. The story "Rupantor" meaning the change is a reflection of such consequence. 3rd Navi Mumbai International Film Festival NMIFF-2016 welcomes the submission of a Student Shorts "Saat Paak Mone Thak - Nuptial memoirs" from India, Directed by Snigdha Banerjee. "Saat Paak Mone Thak - Nuptial memoirs" aims at creating a serene narrative of the traditional bengali wedding capturing the medieval culture of bengal. 3rd Navi Mumbai International Film Festival NMIFF-2016 welcomes the submission of a Professional Shorts "Anjaan Anjuman" from India, Directed by Ashok Dutt. 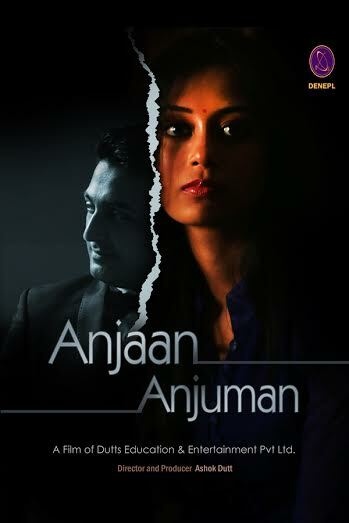 "Anjaan Anjuman" is the story about Maya and Abhas. On the wedding night Maya’s parents fail to keep the promises which was the base for her marriage with Abhas. This leads to disturbed relationship and Abhas refrains from consummating the marriage. Maya is challenged for her purity, which humiliates her. On mother’s advice she consult a doctor. Based on doctor’s counselling Maya takes a decision. She moves on with her inner courage. 3rd Navi Mumbai International Film Festival NMIFF-2016 welcomes the submission of a Professional Shorts "12 VAYAS - Age 12" from India, Directed by Aneesh Ravi. "12 VAYAS - Age 12" is the story about the women security in this male dominated society whcih gets least priority. That's why parents of girl children are in anxiety Lakshmi is an unwed mother of a girl child named Thulasi. Lakshmi works as a maid in neighboring houses to make a living and is forever worried about the safety of her child. She could not imagine her daughter experiencing what she had been through once. Thulasi grows up into a beauty. Hearing horrible news every day, Lakshmi becomes more anxious about Thulasi’s safety. And when she hears from Thulasi that her classmate is abused by her father, Lakshmi becomes sure that her daughter is not safe in this world. She finds a safe place for her baby. Just as she showers a hundred kisses on her every day, she smothered her with the kisses. Lakshmi strangles her and then surrenders before the law.